Fall summits gave nearly 1,200 people on the front lines of highway project delivery a forum to learn about the latest Every Day Counts innovations and network with colleagues who have used them. “I’d like to hear more. Let’s talk during the break,” one summit participant said to another who had just described his state’s use of 3-D technology to the group. The summits—held in Arizona, California, Kentucky, Maine, Missouri, North Carolina and Virginia—featured details on the 11 innovations the Federal Highway Administration will promote in 2015 and 2016 as part of EDC-3 and success stories from earlier rounds. 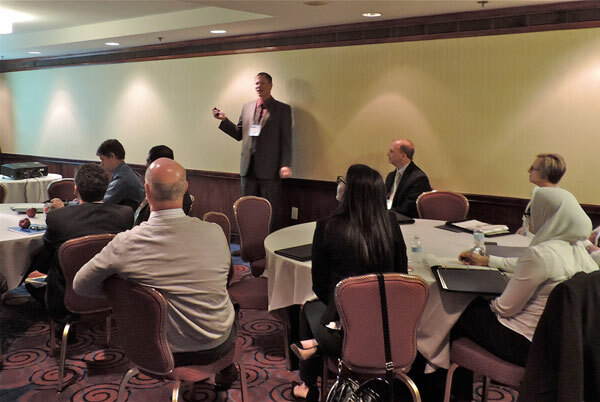 Summit participants provided feedback on proposed strategies to implement EDC-3 innovations so the teams of experts FHWA has assembled to spearhead deployment could tailor their strategies to state needs. They also met in state caucuses to start planning which innovations to adopt in their highway programs. The summits included live broadcasts of sessions on EDC-3 innovations through Web conference sessions, available to view online. The sessions generated more than 2,500 views during the summits. "We’re putting to work innovative technologies that are making our roads safer, our air cleaner, and are helping state and local governments stretch every transportation dollar as far as possible." That’s why innovation-focused programs such as Every Day Counts are important. Wright said. “It reminds us of that culture of innovation we’re building, the ability to stretch resources, deliver projects more efficiently and provide a return on investment,” he said. Like those in the first two rounds, the EDC-3 innovations are designed to shorten the project delivery process, enhance safety, reduce congestion and improve environmental sustainability, FHWA Associate Administrator Jeff Lindley said. But “efficiency through technology and collaboration” is the theme this time. “The EDC-3 innovations are aimed at taking advantage of technology and electronic tools as well as improving the collaborative processes necessary to develop and deliver projects,” Lindley said. Since the initiative was launched in 2009, every state department of transportation has used two or more of the innovations promoted under EDC. Several have embraced dozens of innovations. State leaders shared how they’re deploying innovation at the EDC-3 summits. The District Department of Transportation has incorporated energy-saving warm-mix asphalt into its standard specifications and used the technology on Washington, D.C.’s, Pennsylvania Avenue before the 2013 presidential inaugural parade, District DOT Director Matthew Brown reported. Twenty modern roundabouts have been built in Louisiana to enhance safety and traffic operations and another 50 are proposed, said Janice Williams, chief engineer of the Louisiana Department of Transportation and Development. Agency policy now stipulates that roundabouts and other innovative intersection designs be considered before any new traffic signal is installed. 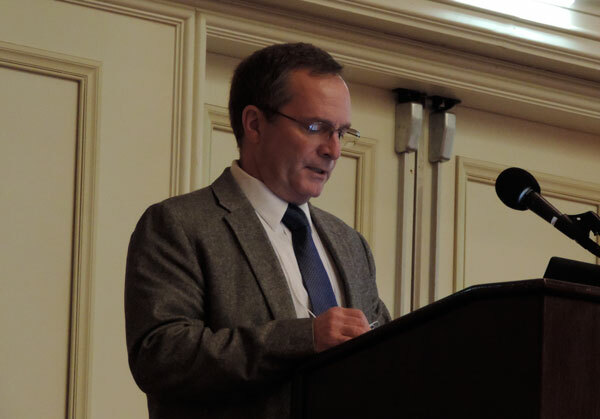 The Maryland State Highway Administration first used alternative technical concepts in 2006 to provide innovative solutions on the Intercounty Connector project, said Jeffrey Folden, assistant chief of the Innovative Contracting Division. Now, ATCs are standard practice on all design-build projects and the agency is exploring their use on design-bid-build projects. Ten time-saving programmatic agreements are in place in Ohio and three more are in development, according to James Barna, Ohio Department of Transportation chief engineer. Using the agreements to streamline routine review processes is saving the agency one to two months per project. The Kentucky Transportation Cabinet has installed high-friction surface treatments to improve safety on curves on many rural roads, said Jason Siwula, innovation engineer. Wet weather crashes have dropped by 85 percent and overall crashes by 7 percent at those locations. 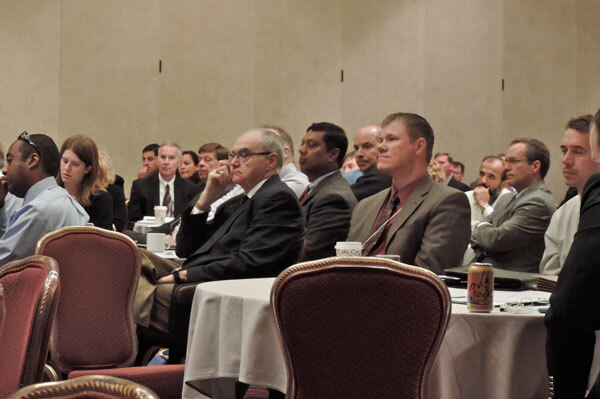 Transportation stakeholders learned about EDC-3 innovations at fall summits. Regional models of cooperation help state agencies and regional groups coordinate transportation planning across jurisdictional boundaries to cut project delivery times and traffic congestion. Improving collaboration and quality environmental documentation and using the e-NEPA online tool allow agencies to share project documents required under the National Environmental Policy Act, reducing workloads while saving time and money. Agencies can expand their use of 3-D engineered models by adding schedule and cost information to 3-D models and using data to optimize roadway inventory and asset management processes. An electronic project document management system—or e-construction—replaces paper with technology tools to improve workflow and save time and money. It’s also an AASHTO Innovation Initiative focus technology. Geosynthetic reinforced soil integrated bridge systems, which use layers of compacted granular fill and sheets of geotextile reinforcement to provide support for a bridge, are cost-effective and easy to build. Stakeholder partnering committees bring local, state and federal agency representatives together to streamline processes for administering local projects under the Federal-Aid Highway Program. Improving transportation department and railroad coordination, also a Strategic Highway Research Program 2 priority, offers tools to help agencies and railroads streamline development of highway projects involving railroad rights-of-way. The smarter work zone effort focuses on construction project planning and traffic control techniques to minimize travel delays, ensure safety and save time. Data-driven safety analysis uses new approaches to making safety investment decisions: predictive to estimate a road’s safety performance and systemic to find and fix crash-related features throughout a roadway system. Roadway reconfiguration, or a road diet, cuts crashes and improves mobility by converting a four-lane undivided highway to a three-lane road with two through lanes and a left-turn lane in the middle. Ultra-high-performance concrete connections—much stronger and more durable than traditional concrete—offer a simple, robust solution to assembling prefabricated bridge components at a construction site. 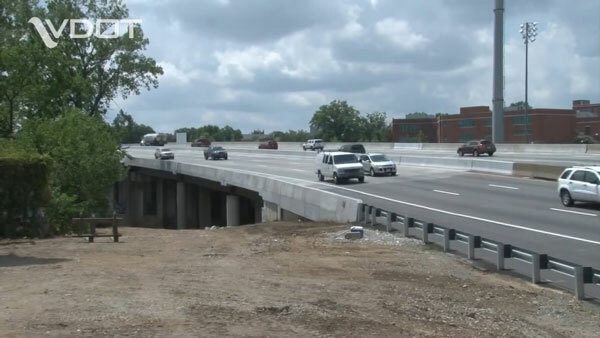 The Indiana Department of Transportation has installed a section of Next Generation Concrete Surface with longitudinal tining on I-65 as part of the reconstruction of the I-465/I-65 interchange in Indianapolis. The agency received a Highways for LIFE grant from the Federal Highway Administration to use this quiet pavement technology. It’s installing three more sections of longitudinal and transverse tining on the project and collecting data to determine which type of tining produces a smoother, quieter pavement. The Idaho Transportation Department used slide-in bridge construction to move the new Lardo Bridge over the North Fork Payette River on Idaho 55 into place. Crews began the slide one morning and had it finished in a few hours. The $3.64 million Lardo Bridge is the first new one the Idaho Transportation Department has built using the lateral slide construction method, which cut full closure of the bridge by months. The Texas Department of Transportation and city of Fort Worth collaborated to open two roundabouts at the U.S. 287/Harmon Road interchange in Fort Worth, the first modern roundabouts on the Texas highway system. The upgrade is a temporary improvement to handle traffic impacts from construction on I-35. The roundabouts cost $600,000 to install, comparable to the cost of temporary traffic signals at what was originally a four-way stop. Because of the roundabouts, no bridge widening was needed and delays have been reduced significantly. In a new pilot project, an Arizona Department of Public Safety officer is located in the Arizona Department of Transportation Traffic Operations Centers. The three-year pilot—which complements the state’s traffic incident management first responder training effort—is designed to enhance traffic operations in the Phoenix area. Being in the traffic center will enable the officer to more efficiently identify and mobilize resources for quicker, safer incident clearance. The U.S. Forest Service restored Layout Creek in Washington’s Gifford Pinchot National Forest with a grant from FHWA’s Accelerated Innovation Deployment Demonstration program. The aquatic restoration project returned the undersized culvert crossing to a more natural state by replacing the culvert with a bridge. The project used geosynthetic reinforced soil integrated bridge system design for the substructure and prefabricated prestressed concrete beams for the superstructure. GRS-IBS was also used to build the Sand Creek Bridge in Dawes County, Nebraska, which accesses the Oglala National Grasslands. The project took just 15 10-hour work days to complete. Two incentive opportunities from Federal Highway Administration programs—State Transportation Innovation Council Incentive and Accelerated Innovation Deployment Demonstration—are helping highway agencies adopt new technologies and practices. Fiscal year 2015 assistance is now available from the STIC Incentive program. The program provides resources—technical assistance and funds—to help STICs make innovations standard practice in their states. States can get up to $100,000 a year for activities such as implementing system process changes, organizing peer exchanges and developing guidance and specifications. Contact the state FHWA Division Office or Mary Huie at (202) 366-3039 for information. The AID Demonstration program continues to accept applications through Grants.gov. Incentive funding of up to $1 million may be awarded for projects using innovation on any aspect of highway transportation, including planning, financing, environment, design, construction, materials, pavements structures and operations. See the AID Demonstration Web page or contact Ewa Flom at (202) 366-2169 for details. 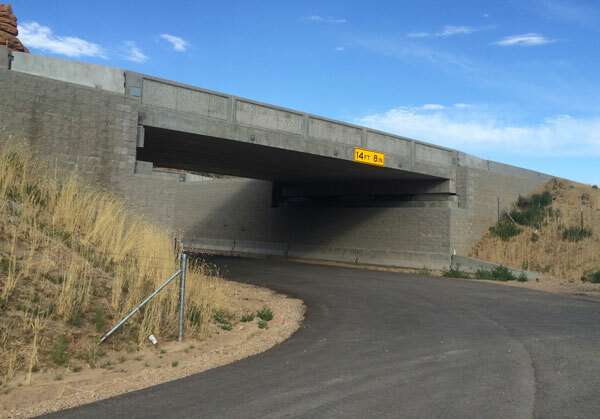 Innovations abound on the new twin bridges that carry I-84 over a county road in Echo, Utah. The Utah Department of Transportation used several accelerated bridge construction techniques, including geosynthetic reinforced soil integrated bridge system technology—an Every Day Counts 3 innovation. 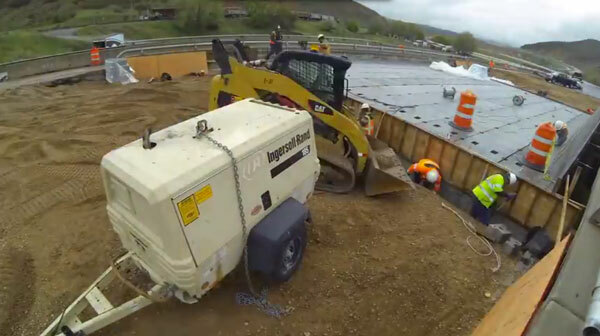 Using GRS-IBS technology helped save time and money on a Utah bridge project. The Utah DOT chose ABC techniques because it wanted to minimize user delays, maintain traffic during construction and save construction costs. In fact, using ABC saved about 7 percent over conventional construction costs, reduced the project schedule from 194 to 125 days and cut total road closure time to 34 hours. Instead of cast-in-place concrete, GRS-IBS bridge abutments are built using multiple layers of geosynthetic-reinforced soil. The technique involves alternating layers of select backfill and geosynthetic reinforcement. Working from the bottom up, crews face each layer with a row of concrete blocks. The bridges, which have 57-foot clear spans, were constructed in phases. The new eastbound bridge superstructure was built on GRS abutments in the median. When the median bridge was complete, the westbound bridge was closed and westbound traffic was diverted to the new median bridge. The old westbound bridge was demolished and replaced using GRS-IBS technology. When construction was complete, westbound traffic was switched from the median to the new bridge. Next, the eastbound bridge was closed, its traffic was shifted to the median, the old eastbound bridge was demolished and its abutment was reconstructed using GRS-IBS technology. In August 2013, the median superstructure was slid laterally to the eastbound bridge during an overnight closure. The roadway approaches were completed with an asphalt overlay and tie-ins. The Utah DOT received a grant from FHWA’s Highways for LIFE program to use innovations on the $5 million project. User delay costs for autos, single trucks and truck-trailer combinations mounted up to nearly $430,000 for the baseline detour method of construction. But with the innovations and maintaining traffic on I-84, total delay costs were estimated at just $49,000. 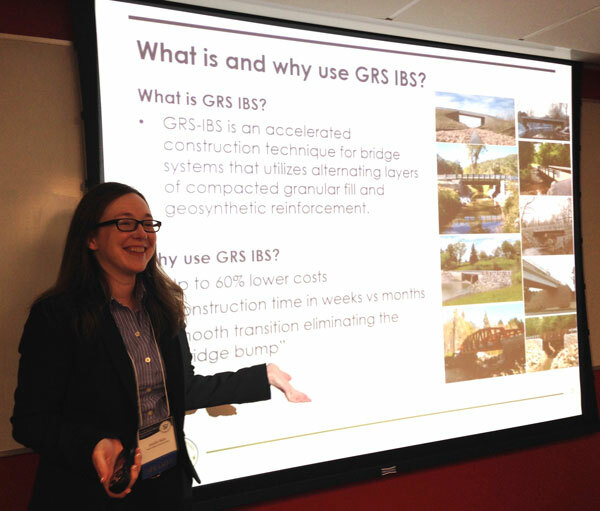 One important benefit of GRS-IBS is that it integrates the roadway approaches to the bridge. The whole structure is connected to the same foundation—the GRS mass. That way, bridge settlement is the same as the approaches. The result is the elimination of the bump commonly felt between the approach and the bridge. Video: I-84 Bridge Construction Time Lapse Video. Since it was named an Every Day Counts innovation in 2010, geosynthetic reinforced soil integrated bridge system technology has spread from primarily two counties in New York and Ohio to nearly 200 structures in 44 states. The Federal Highway Administration will continue to promote GRS-IBS during EDC’s third round in 2015 and 2016. This time, the focus will be on helping state and local agencies develop standard plans, details and specifications for using the technology. GRS-IBS can help meet the demand for small, single-span bridges by delivering low-cost, durable structures that can be constructed with readily available equipment and materials. GRS-IBS projects can be built in weeks instead of months, saving time and cutting work zone congestion. As GRS-IBS use expands, so does the range of applications. At first, GRS-IBS structures were built on county roads with low traffic, but since 2010 14 bridges have been built on more heavily traveled National Highway System roads. That includes twin GRS-IBS structures on I-84 in Utah and on PR-2 in Puerto Rico. Several GRS-IBS structures have been designed for use in active seismic regions, including one on the Big Island of Hawaii. GRS-IBS has been used on numerous projects crossing waterways. It has also been deployed on grade separation projects, including crossings over roads, rail lines, wildlife passages, and pedestrian and bicycle trails. A training video demonstrates GRS-IBS use, including current applications and history. 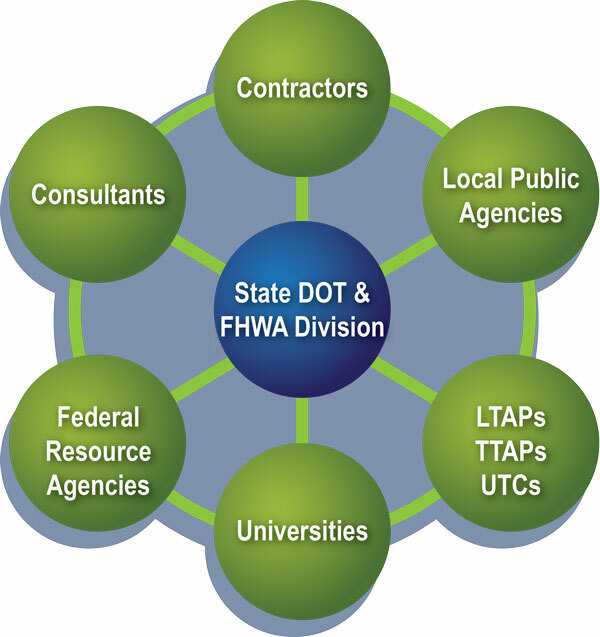 (FHWA-HRT-11-026) provides design and construction guidance. Sample Guide Specifications for Construction of Geosynthetic Reinforced Soil Integrated Bridge System (FHWA-HRT-12-051) serves as a technical basis for developing standard specifications. 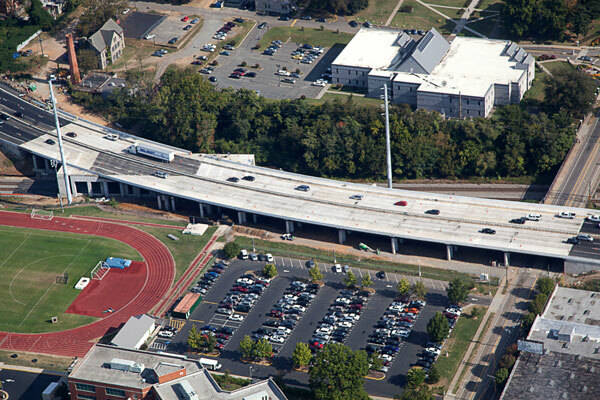 The Virginia DOT used accelerated bridge construction on its I-95 Bridges Restoration Project in Richmond. The Virginia Department of Transportation used accelerated bridge construction techniques to deliver a $90 million, 11-bridge rehabilitation project four months ahead of schedule and $16 million under budget. The bridges are on the I-95 corridor through downtown Richmond. Challenges included coping with traffic congestion, crossing major rail lines and utilities, maintaining commerce through an important transportation corridor and dealing with the current condition of the bridges. The bridges were safe, but they were considered structurally deficient and in need of rehabilitation, said Rodolfo Maruri, bridge engineer with the Federal Highway Administration’s Virginia Division. Video: This time-lapse video shows crew replacing the nine bridge sections on the I-95 north bridge over Overbrook Road. The corridor experiences heavy congestion during peak hours (150,000 vehicles per day) and crosses a major rail line that carries more than 20 trains per day. The importance of the corridor and traffic volumes dictated the need to keep all six existing lanes open during peak traffic and mandated that most major construction activities be pursued at night. 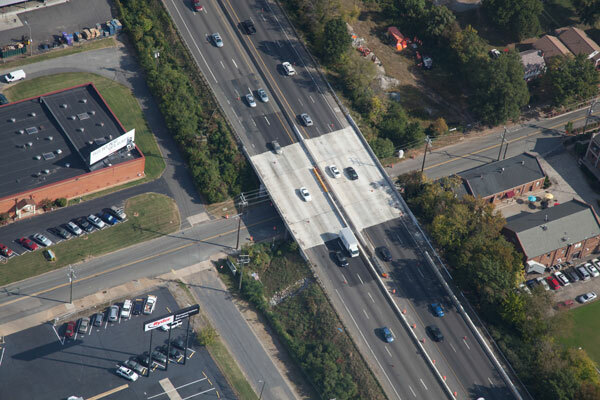 To replace the superstructure elements, the Virginia DOT chose ABC technology, an Every Day Counts innovation. That meant using prefabricated bridge elements, which consist of the bearing assemblies, steel beams, diaphragms, 9-inch thick concrete deck sections and concrete parapets. The contractor was given the notice to proceed in September 2010 and completed the mainline work in June 2014. Video: Virginia DOT Project Manager Scott Fisher talks about the I-95 Bridges Restoration Project. 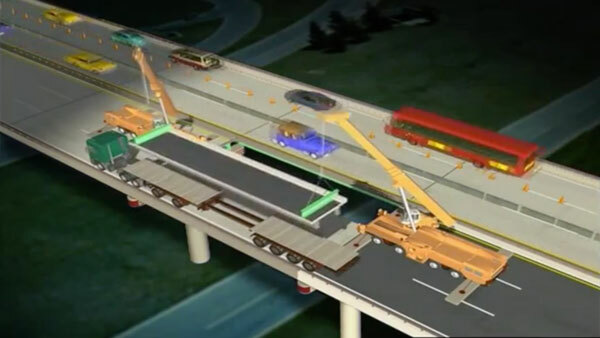 Video: The Virginia DOT used animation to explain how prefabricated bridge elements speed up construction and minimize traffic impacts. It’s hard to calculate the exact cost savings from ABC techniques because conventional construction was not an option for this stretch of I-95, but the savings would have been in the form of road user costs. “If the work had been completed conventionally, the amount of time drivers would have lost in traffic would have been astronomical,” Fisher said. High-performance materials and construction methods were used on the preconstructed units to maximize their service life, Maruri said. They included weathering steel elements, high-performance lightweight concrete and grout, high-early-strength concrete for closure pours, corrosion-resistant reinforcement, transverse post-tensioning and longitudinal continuity details. Incorporating longitudinal continuity details over the piers eliminated 90 percent of the joints and will reduce maintenance and deterioration. The movement to build a nationwide innovation network reached a milestone in fall 2014 when Delaware and Maryland became the 44th and 45th states to create formally chartered State Transportation Innovation Councils. STICs bring together transportation stakeholders in each state to evaluate innovations that could benefit the transportation system. They consider all types of innovation, including those promoted through the Federal Highway Administration Every Day Counts initiative, American Association of State Highway and Transportation Officials Innovation Initiative and Strategic Highway Research Program 2. “Since the earliest days of Every Day Counts, we’ve described STICS as putting the state in the driver’s seat to select and quickly deploy the innovations that address the state’s unique needs,” FHWA Acting Administrator Gregory Nadeau said at the Arlington, Virginia, Every Day Counts summit. During fiscal year 2014, STICs in 36 states tapped FHWA’s STIC Incentive program to obtain more than $3.5 million in funds to pursue projects. The program offers up to $100,000 per STIC per year to fund activities that have a statewide impact on making an innovation a standard practice, so another $100,000 is available for each STIC in 2015. The Ohio STIC used funds to develop guidance on how to improve the quality and streamline the production of two environmental documents critical in project development: feasibility studies and alternative evaluation reports. The Ohio DOT will use the guidance to produce readable documents that ensure efficient decision making. The project is part of an agency effort to improve the quality of project documents required under the National Environmental Policy Act. The North Carolina Department of Transportation is pursuing a local government agency certification initiative to improve compliance with requirements and reduce delivery time on locally administered transportation projects. The first phase of the certification program requires local agencies to become prequalified so they understand what’s involved in delivering projects under the Federal-Aid Highway Program. The agency obtained STIC funds to help design, develop and implement the prequalification phase of the program. STIC funds helped the Arizona Council on Transportation Innovation launch its Innovation Exchange Campaign, part of the council’s effort to build a statewide innovation culture. Through the campaign, the council held five panel discussions in 2014 on innovation themes proposed by transportation stakeholders, such as 3-D modeling, accelerated bridge construction and design-build project delivery. The Michigan Utility Coordination Committee is working on a project called Geospatial Utility Infrastructure Data Exchange, or GUIDE, to gather geospatial data—information on precise geographic location—on utilities in Michigan Department of Transportation rights-of-way. The Michigan STIC requested funds to develop a report on project activities, including collecting geospatial data on underground facilities installed in 2014 by three of the state’s largest utilities. “The report will be instrumental in assisting MDOT’s decision to move forward with requiring geospatial data as a statewide standard permit condition for all underground utilities permitted within MDOT’s right-of-way,” Mark Van Port Fleet, deputy chief engineer and director of the Michigan DOT Bureau of Development, said in the agency’s application for STIC incentives. The Rhode Island Department of Transportation received fiscal year 2015 STIC funds to implement adaptive signal control technology. The Rhode Island DOT and FHWA are working with the Rhode Island Airport Corporation and Federal Aviation Administration to install adaptive signal control on six signals on a congested road near T.F. Green Airport in Warwick. STIC funds are helping the partners hold a systems engineering workshop, develop contract documents and complete construction, as well as implement a monitoring plan to support development of adaptive signal control programmatic guidance. The Pennsylvania State Transportation Innovation Council created a website that illustrates innovations that have been deployed on roads and bridges throughout the state. The interactive site allows users to view innovations by county, Pennsylvania Department of Transportation district or transportation planning partner and access technical details on the innovations.